What's In the Pocket on JazzOn2? Find today's line-up of great jazz and community affairs programs on JazzOn2. Wednesday at noon (4-24) on Curtis Calls, from the graduation recital of harpist Heloise Carlean-Jones, we'll hear Sonata for Harp by Hindemith, a Fugue by J.S. Bach, an Impromptu by Faure, the Trio for violin, cello and harp by Ibert and Ravel's Introduction et allegro . Performances from student recitals at the Curtis Institute of Music, Wednesdays at noon and Monday evening at 10. This week: "Cello Concertos" - Works by Haydn, Prokofiev, Strauss, Tchaikovsky, Villa-Lobos, Elgar and others. The Piano Matters compares recordings of great piano works performed by various artists past and present, analyzing and explaining differing approaches to the music. Conversations with classical musicians on the award-winning program Cadenza. Join us as organist Jonathan Vaughn performs works by Elgar, Lemare and Widor Thursday at 12:30 pm. Giancarlo Guerrero leads the Nashville Symphony in works by Debussy, Meyer, Bottesini, and Ravel. Enjoy our classical stream anytime and anywhere with our alternate player! Follow The Classical Network and JazzOn2 on Facebook and Twitter. Donate your car, truck, boat or motorcycle and support the programs you love! Join host Ross Amico every Wednesday at 6 pm for Music From Marlboro, featuring historic performances from the Marlboro Music Festival. A new interpretation of the classic musical "Oklahoma!" is anything but your grandma's 1943 show. Theater Critic Howard Shapiro reviews the revival of the Rodgers and Hammerstein musical this week on In a Broadway Minute Friday (4/26) at 8 am and Saturday (4/27) at 10 am. In A Broadway Minute Reviews "What the Constitution Means to Me"
The world watched in despair at the images of flames roaring through Paris' Notre Dame Cathedral this past Monday, worrying about the fate of this historic, architectural - and to the French, national - treasure. As the shock and disbelief settled in, thoughts turned to the magnificent works of art inside, and for those in the music world, to the Grand Organ. 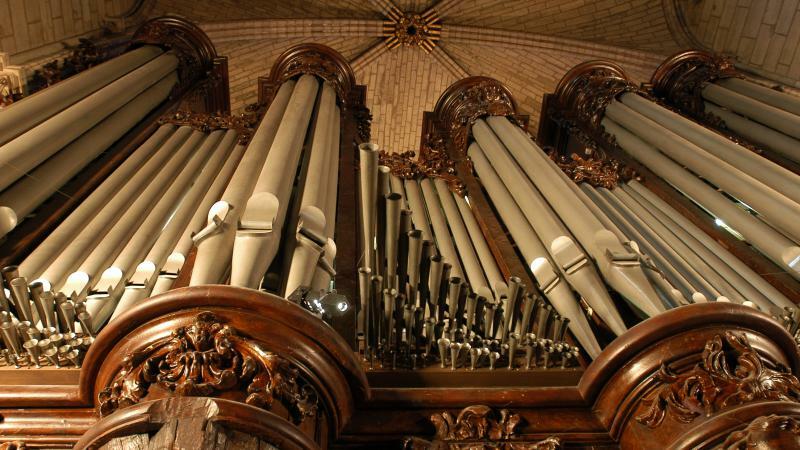 Built in the 1860s by Aristide Cavaillé-Coll using some parts from two earlier organs, the organ has undergone several modifications and restorations and now features more than 8,000 pipes. D&R Greenway Art Exhibition, Reception: "Spring Training, - People, Places, Play"